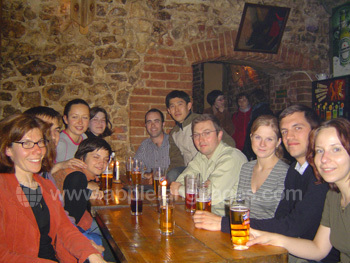 Study on a Polish course in Kraków, a city rich in both history and nightlife! The majestic Rynek Glówny (the main square) will leave you speechless, as the age-old, narrow streets open out onto the expansive square. 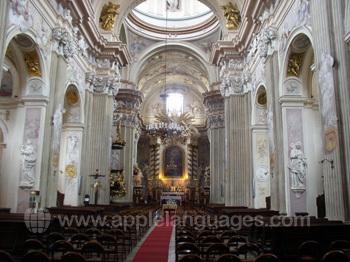 Savour the incredible sight of the towering Basilica of Saint Mary, with its glittering interior, and the striking Renaissance Sukiennice (cloth hall). 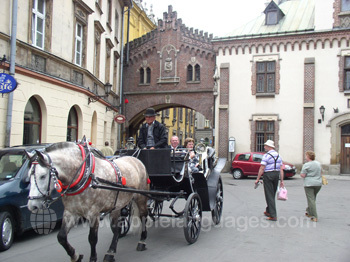 Kraków’s two most interesting neighbourhoods are the old town around the beautiful main square, and the atmospheric old Jewish quarter of Kazimierz. 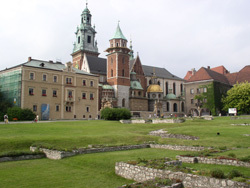 Between the two, the magnificent Wawel Castle, with vibrant chapels reminiscent of Russia, overlooks the River Vistula. The scenic streets around Rynek Glówny are home to many fashionable shops and elegant eateries, as well as the remnants of Kraków’s city walls and peaceful parks. In both the old town and in Kazimierz, you’ll find excellent museums to tell the story of the city, and cosy underground bars and jazz clubs. 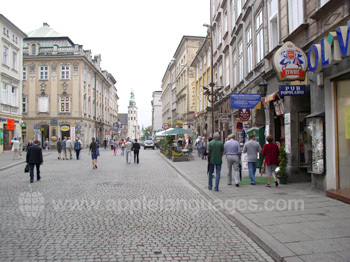 A residential area, popular with university students, is home to our Polish language school in Kraków. The school has excellent facilities, including 8 classrooms with interactive whiteboards and audio-visual equipment, a book and video library, tea/coffee-making facilities and a garden. The school lies on one of the main tram and bus routes, putting Kraków’s main attractions within easy reach! Your choice of course should depend upon not only what you hope to achieve from the program, but also your preferred method of learning. Our Standard Polish Course in Kraków, for example, is perfect if you’d like to strike a balance between classroom time and time spent exploring Poland! For a faster pace of learning, the Super-intensive and Super-intensive Plus courses combine group lessons with smaller classes. 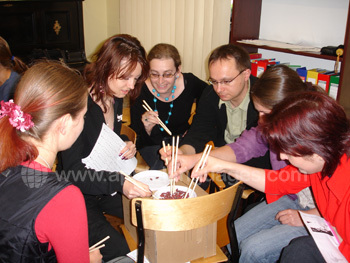 The Super-intensive option includes mini-group lessons, with just one other student, whereas the Super-intensive Plus course consists of group and one-on-one Polish lessons. The smaller the class size, the more time our school’s expert teachers can devote to improving your Polish! 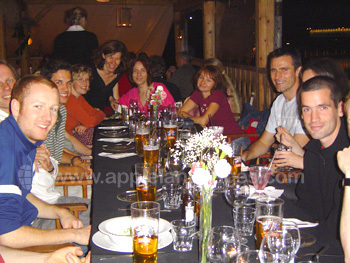 Discover the hospitality of the Polish people – stay with a host family! Families are chosen for their friendliness and the quality of their accommodation, which is usually within walking distance of the school. 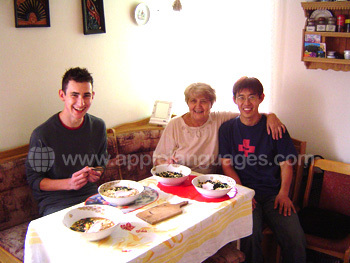 Alternatively, you could live in a shared apartment whilst you learn Polish in Kraków. 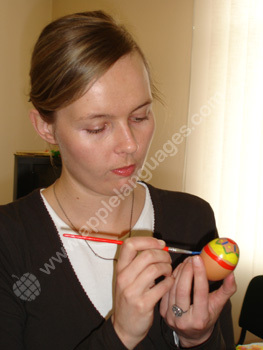 This option is perfect if you’d like to spend plenty of time socialising with your fellow Polish language students. Choose between an apartment conveniently located near to the school, and an apartment very close to the heart of city life! All apartments have communal kitchens, bathrooms and lounges. Join in with our school’s exciting activity program for a true taste of Poland! Included are a tour of Kraków, a cooking workshop with a Polish family and even a mini-skiing trip into the mountains! There will also be a welcome party, allowing you to meet your fellow students, and a farewell party, where you can say goodbye to your new friends.